The DETEXI NVR supports most network cameras as well as analog to IP video servers (encoders). 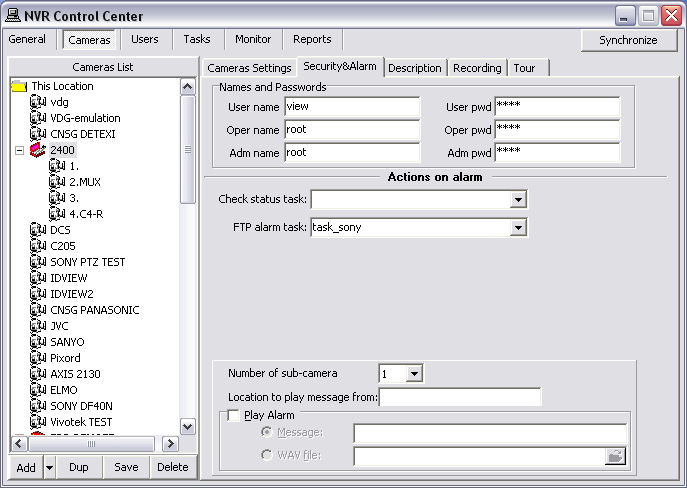 Before recording can occur or live video can be viewed in the DETEXI Client network camera must be defined in the NVR Control Center. 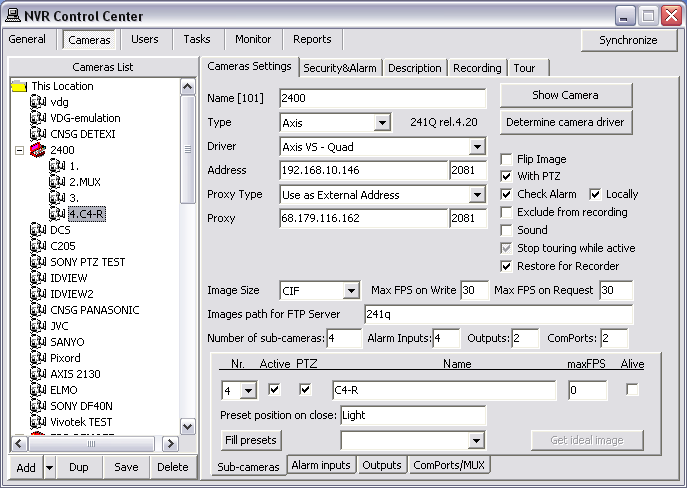 Enter a descriptive name for the camera/video server into Name input field. If required, switch to the Security & Alarm to setup security settings.